Many would agree with me when I say that Fallout New Vegas was an upgrade from Fallout 3. Those of you who have played the classic isometric Fallout games, know that New Vegas felt more like a Fallout game than Fallout 3. It brought back the dark humor that we know and love especially from Fallout 2. But there was one element they brought with them from classic Fallout that simply didn’t work very well in this era of 3D first person shooter style Fallout, the desert. It makes sense that the developers at Obsidian Entertainment would use the environment that they inhabit everyday for their game. Just as Bethesda did with Fallout 3. But in the case of New Vegas it resulted in long stretches of open desert where the player hiked for minutes on end. A desert wasteland is a setting that worked to much better effect in classic Fallout due to how the player traveled the game world. Fallout 3 took place in the state of Maryland and mostly consisted of large open areas with some crumbling infrastructure. But a significant portion of the map was of the Washington DC downtown area and its interconnected underground metro system. The environment was the one aspect of Fallout 3 that I found superior to Fallout New Vegas. I loved getting lost in the labyrinth of subway tunnels and maintenance hallways, finding an exit and discovering a new section of the city. With the ghouls underground and the super mutants above, it felt dangerous and risky to travel deeper into the ruins of DC. You know that there’s something trying to kill you around every corner, crumbling high rise buildings could contain super mutants with rocket launchers perched inside them, or some survivalist lunatic could have booby trapped an alley way and snipes whatever approaches. The atmosphere this created was palpable. Fallout 4 decided to move further away from inner cities but not completely. Measured out, the entire map of Fallout 4 (9.743 square kilometers) is significantly larger than that of Fallout 3 (8.462 square kilometers). Downtown Boston most likely measures out to more space than downtown DC, and yet the former still feels smaller. No matter what, you can’t get lost in Boston. If you pick a direction and stick with it you’ll get out, and if you hit water then you know you went the wrong way. Downtown DC made the entire map feel a lot bigger than it actually was. 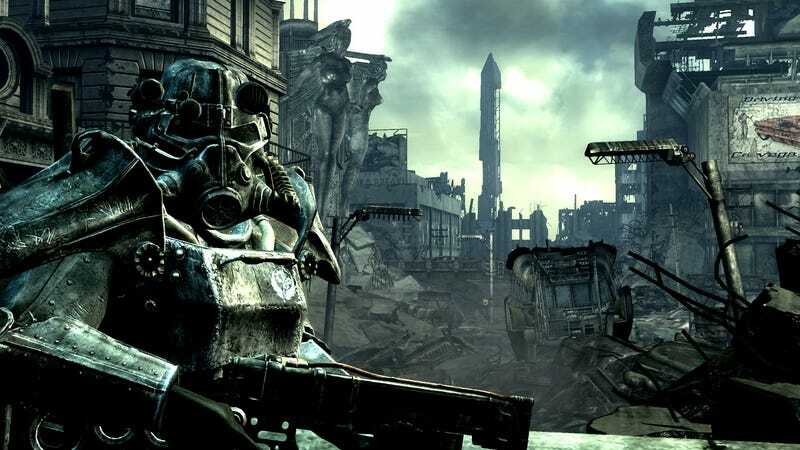 Fallout shouldn’t completely move away from its roots of an open wasteland, but recognize that the environment should adapt with the new style of gameplay. On the west coast, the Boneyard (Los Angeles) is the obvious choice and should feature more prominently if a new Fallout is ever set in that region again. Its east coast equivalent would be Manhattan and/or one of the other Boroughs of New York City. Ladies and Gentleman, what do you think? Does 3D Fallout work best in an Urban setting or in open areas like plains and deserts? Be aware, much like many RPG’s there is a semi-secret third option; a forested and swampy environment brought to us by the Fallout 4 DLC Far Harbor. In my opinion the setting of Far Harbor actually worked very well. But out of curiosity of what the majority thinks I’d like to direct you to this unscientific straw poll so we can all find out. 3D Fallout works best in what type of environment? PS: Could Fallout 1 and 2 work on a mobile platform?